Borovets Euphoria Club Hotel & Spa, a friendly and hospitable retreat of tranquillity and relaxation rooted in nature, a private, yet imposing and distinctive, traditional settlement, placed in a scenery of unique features, regardless the season, invites guests to experience an alternative kind of lifestyle. Exquisite standard of service, high aesthetics and luxury are called to serve the guests, offering an unforgettable time, while contemporary accommodation facilities, amenities and exemplary service, make the hotel a unique jigsaw, paying attention to the detail and conspiring to making the meaning of the term "euphoria" an everyday reality. 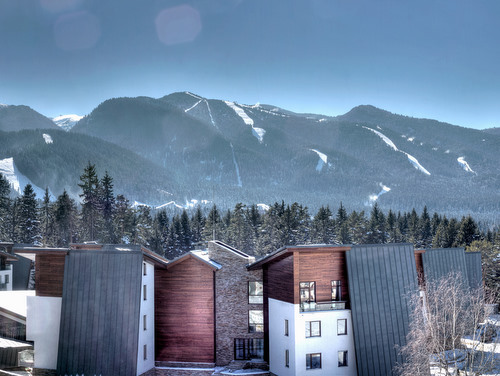 Euphoria Club Hotel & Spa is located in Borovets, at an altitude of 1350 meters adjacent to one of the most popular ski centres in Bulgaria and just 70km away from Sofia. 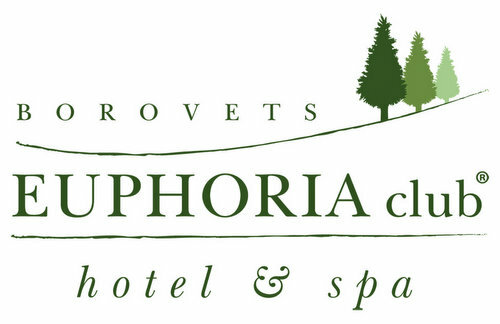 Situated in an idyllic location, Euphoria Club Hotel & Spa hides within a forest of towering trees, offering "seclusion" and "privacy", with view of the mountains and the ski slopes. With respect to the astonishing natural setting surrounding the complex, Euphoria Club Hotel & Spa combines the alpine and the traditional Bulgarian architecture and is a special mountain resort for one's escapades in nature, for winter sports, but also for trekking activities in the surrounding area. The exquisite aesthetics of the hotel immediately win first impressions, while contemporary accommodation facilities, amenities and exemplary service, with meticulous attention to detail, all conspire to making the meaning of the term "euphoria" a reality. Luxurious accommodation is offered in the 110 rooms, apartments and villas, creating a relaxing atmosphere, ideal for our guests. 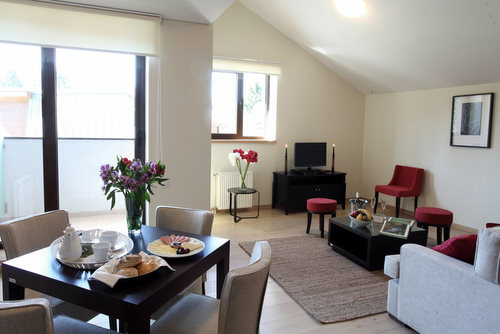 In the same area as the hotel there are also 74 residences available for sale, fully completed. 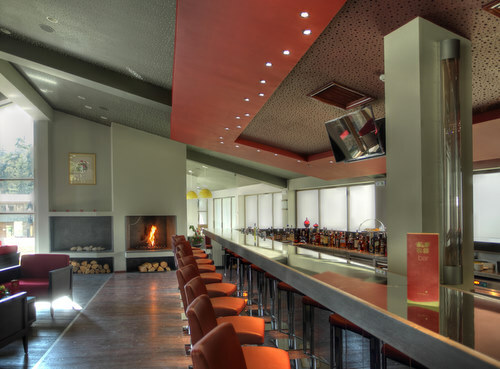 Euphoria Club Hotel & Spa invites one to choose among spacious studios, one or two-bedroom apartments, and secluded two-floor luxurious villas, all with stunning views of the mountains and the ski slopes. All rooms are equipped with high-quality furniture, and feature all modern amenities (central heating, satellite TV, internet access, kitchenette, mini bar, room service, independent ski lockers etc.). 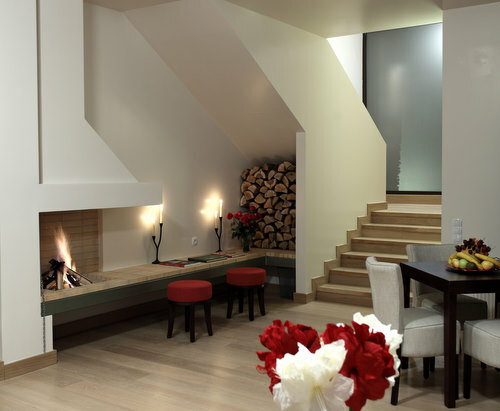 The simple and warm decoration, a combination of noble and contemporary style, the distinctive lighting, modern paintings, bold colour combinations and modern-style decoration highlight the discreet luxury, which dominates the area in the best possible manner. The comfortable and impressive rooms of Euphoria Club Hotel & Spa are distinctive of their touch of discreet luxury and add another dimension to the meaning of the word hospitality. The 24-hour security, in combination with the special features of the complex, inspire a sense of "privacy" to visitors. One can taste the unique local and international gastronomic temptations of our ? la carte restaurant and relax in the bar, enjoying the great variety of drinks or wine accompanied by soft music, facing the marvel of nature as it unfolds outside. Visit the hotel Spa, choose among our jacuzzi, sauna, massage, indoor heated pool services and make the dream of tranquillity and relaxation come true. However, above all, the "heart" of Euphoria Club Hotel & Spa lies in our smiling staff, eager to meet all your requirements, to create optimum conditions for an escape from reality and an ideal environment of accommodation. The 24-hour security in combination with the special features of the complex inspires a sense of "privacy" to visitors. Our ? 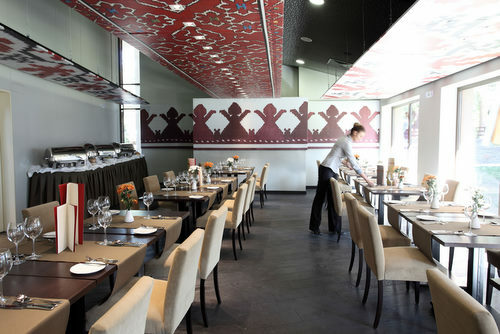 la carte restaurant takes a gastronomic approach of the Bulgarian, the Mediterranean and the International cuisine, where one can taste unique local and international menus, while at the same time; the bar indulges guests to a great variety of drinks, beverages or wine, accompanied by soft music, facing the marvel of nature as it unfolds outside. 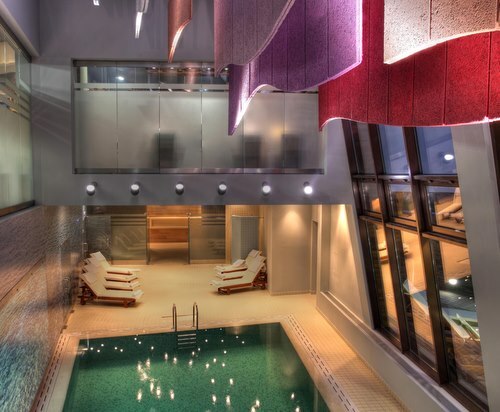 Visit the hotel's Spa, choose among jacuzzi, sauna, massage, indoor heated pool services and make the dream of tranquillity and relaxation come true. The experienced staff of the Euphoria Spa promise to soothe guests' senses with unique facial and body treatments. Try the Spa's toning, well-being and relaxation treatments and rediscover yourself! Euphoria Club ?otel & Spa features three spacious and sophisticated conference rooms of 60 m2, 57 m2 and 49 m2 respectively, functional and modern, which are the ideal choice for business meetings and corporate events, small and private meetings. The experienced and dedicated team of our hotel guarantees the success of your event, from planning to completion.